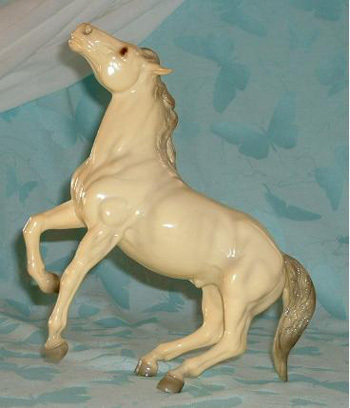 The Breyer Horse Mustang model introduced in 1961, also known as the Semi-Rearing Mustang, has consistently been in the top ten for popularity. There are so many little details on the models from the early years that make it a treasure hunt when you are looking for a specific variation for your collection. I have owned a few of the treasures and I've included selected pictures, however, there are many that remain on my “wish list” as well. 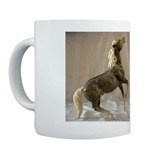 Should you still be waiting for your vintage mustang model, or perhaps you just want a keepsake close by, wake up each morning with this vintage breyer fellow on your cup of java or have him keep your computer mouse company as you work.